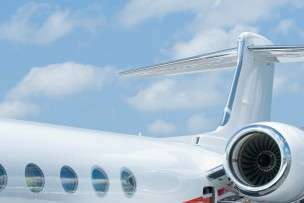 Layover | Stratos Jet Charters, Inc. The opposite of a direct flight, a layover is a scheduled or non-scheduled stop between a flight or other form of transportation. In the case of air transportation, a direct air carrier will normally inform passengers of any layovers when they book the flight. A layover usually refers to when a flight stops at an airport to unload passengers catching a connecting flight in a multi-flight situation, or to pick up passengers for their final destination. It can also refer to when the aircraft needs to make a technical stop, such as to refuel, on a long-distance flight. A layover can also occur when a plane that has not yet reached its destination has to make an unscheduled stop for bad weather or a technical/mechanical reason. When a layover occurs, passengers are usually required to disembark the aircraft at an airport in order to change planes. Depending on flight schedules, this can take place over a short period of time, from 30 minutes up to an extended period of time of 24 hours on an international flight. Airline staff sometimes use the term layover as an overnight stay, and connection as a shorter stop. A layover can also be referred to as a stopover when it is an extended stop for a passenger going to another destination as part of a multi-flight itinerary. In the case of a technical or unscheduled layover, passengers may be required to remain seated in the aircraft while it is parked in the apron. The direct air carrier will usually notify passengers at ticket purchase on how long a scheduled layover will be in order for them to catch a connecting flight in a multi-flight situation. Often considered a hassle to air travellers, some direct air carriers will offer hotel vouchers in the case of extended layovers and will also schedule flights that have minimal layover times. Some airports also cater to those passengers on layovers by providing lounges, hotels and restaurants in their terminals.